Hear! Hear! 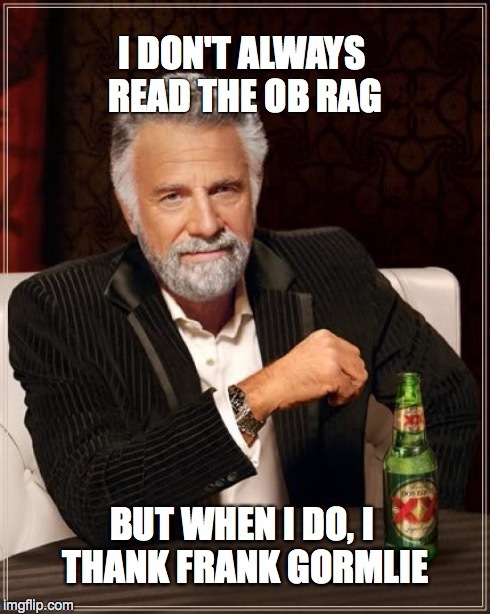 and I do always read the OB Rag . . . great work, Jeff. I don’t recall giving permission to use my picture. Shouldn’t there be some remuneration coming my way? I always do read the OB Rag, and will continue to do so when when we move to the greener – make that the browner – pastures of east El Cajon . . . AND will continue to thank Frank.